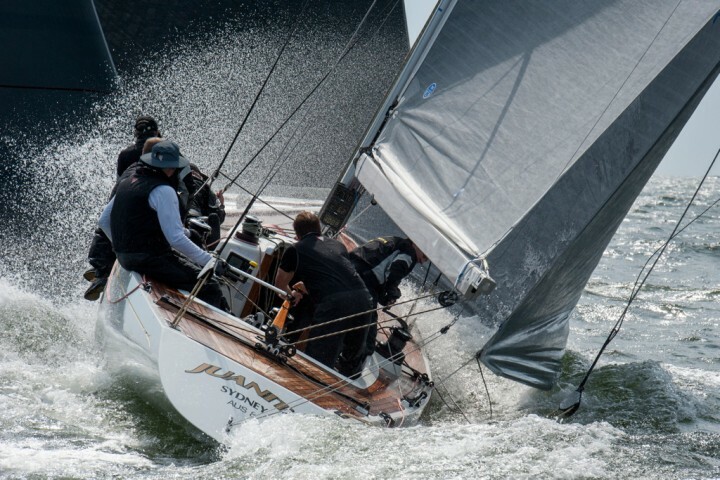 The photograph was taken during the final of the TeamWork Geneva Match Race between Team Monnin and Team Lindberg. The day was cloudy with sometimes a bit of sun coming through. At the end of the day the sun came out just for a few seconds on the boat and the Jet d'Eau, the water jet lakeshore’s star attraction.